Yesterday Charlie and I headed to Limekilns for a fairly easy days trading. I hadn’t been there in over a year so It was fun to warm up on some of the classics then moving onto some trickier stuff. Firstly I did “Marley’s Ghost” which was one of the few E2’s at Limekilns that I had not done before and it was surprisingly good despite the bold start. Charlie then went on to try “The Struggler” but unfortunately the route lived up to its name and he came off mid crux. Thankfully he is psyched to head back soon for round two. 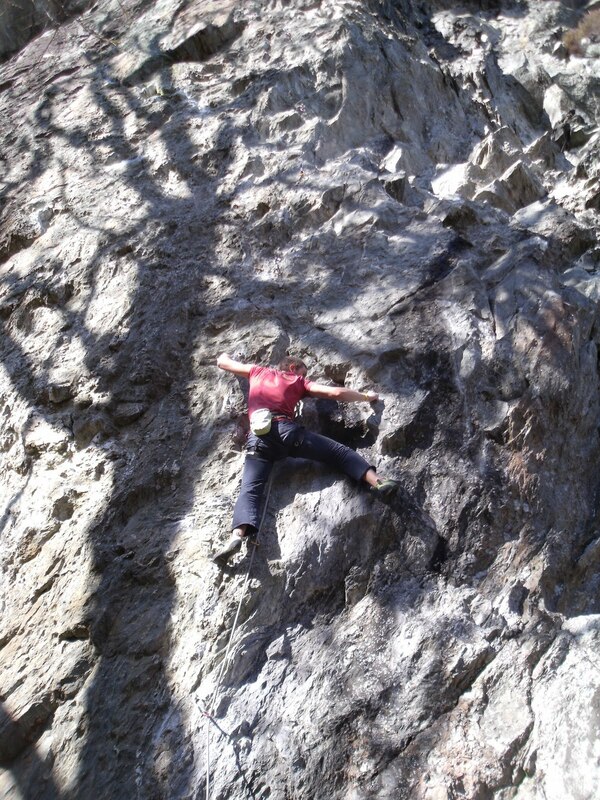 I then headed round to the steeper side of the little block and jumped on an E4 6a called “Satin Finnish”. The bottom half of the route follows a steep corner crack which was very slimy and greasy which made the climbing a little more strenuous then usual, but the holds soon dried out as I moved higher up the wall. This was a good route and it felt a lot more sustained then its neighbouring E4 “Velvet Glove”, which I had done a few years back. Mhairi , Charlie, Stuart and I went up to Dunkeld (upper cave) today. It was looking dry and everyone was psyched and ready to go. As I put the clips in the sport routes, Stuart made short work of “Crutch” which is an awesome little two starred severe. Charlie, Mhairi and I then had a go on the sport routes. Charlie is making good progress on “Hamish Teddies” while Mhairi and I where on “Silk Teddies” which I got on my second go today and Mhairi is looking very close to getting it soon. After this Stuart got on “Coffin Corner” which was his second HVS and he cruised it with little difficulty (totally awesome for his first summer rock climbing).